Mumbai-based former naval officer-turned-businessman Kulbhushan Jadhav was arrested on March 3, 2016, and was sentenced to death by a Pakistani military court on charges of espionage and terrorism. MUMBAI: The relatives of Kulbhushan Jadhav will reach Islamabad on Monday for a scheduled meeting with the death row prisoner, according to an activist. "His mother, Avanti Jadhav, and his wife are expected to fly from Dubai to Islamabad for their first ever interaction later in the day. 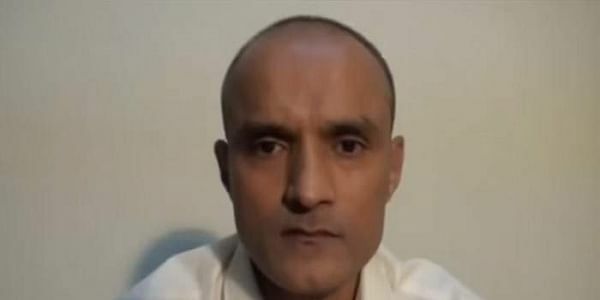 According to available information, Kulbhushan Jadhav will be brought to the Pakistani capital for the meeting," Jatin Desai, spokesperson for Pakistan India Peoples Forum for Peace and Democracy (PIPFPD) told IANS. The Pakistan Foreign Office (PFO) has already confirmed that the Indian Deputy High Commissioner J.P. Singh, will be allowed to remain present at the meeting at the Foreign Affairs Ministry. However, Desai said the family will not speak with the media in Pakistan, though the PFO will provide photos and videos of the meeting. "After this meeting, the first since Jadhav's arrest 21 months ago, his mother and wife are expected to leave Pakistan on Monday evening," the activist said. He added the PIPFPD has been keenly monitoring the progress of the matter and termed the meeting as "a positive confidence-building measure by Pakistan" which will help further improve the relations between the two neighbouring countries. A Mumbai-based former naval officer-turned-businessman, Kulbhushan Jadhav was arrested on March 3, 2016, and was sentenced to death by a Pakistani military court on charges of espionage and terrorism. After persistent demands by New Delhi, the Pakistan government finally permitted the meeting terming it as "purely on humanitarian grounds". India has maintained Jadhav's innocence and said he was kidnapped from Iran where he had gone for handling his businesses after superannuation from the Indian Navy. Despite the death verdict, Pakistan last week reiterated that he was not under a threat of an immediate execution as his mercy petitions were still pending. Meanwhile, several organisations, groups and individuals in Mumbai welcomed the "reunion".